"It's cold, you're lonely, [and] you feel like there's nobody out there for you," said Andrew Carrington, who slept outside once when it was nine degrees. "It's despair." In response, the city of Hartford has opened up an overnight warming center. That gave Randolph Torres a place to stay. He said his alternative might’ve been sleeping outside -- in a park on Main Street. Torres, who’s experiencing homelessness, said he’s had to sleep outside in the cold before. Torres will spend the night at Hartford’s Willie Ware Community Center and so will Andrew Carrington. 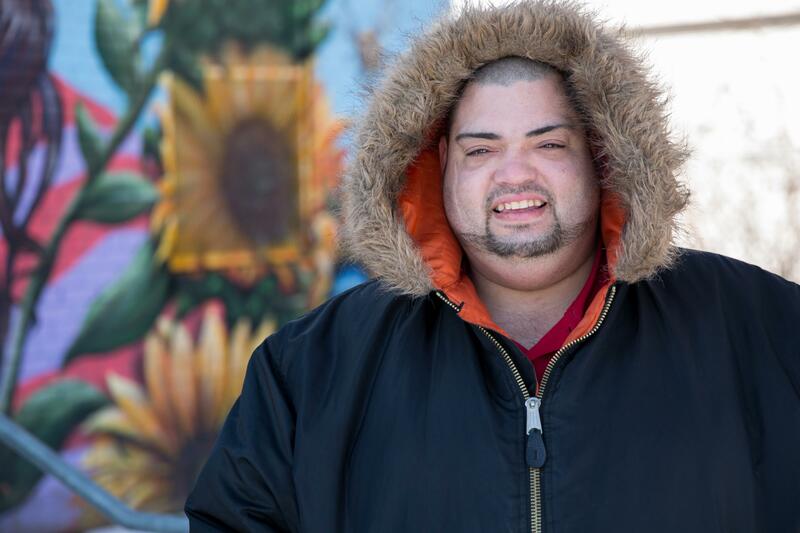 Randolph Torres said that if the warming center didn't open up for him and some of Hartford's other people that are experiencing homeless, he'd have slept in a park on Main Street. Carrington said that the coldest weather he’s ever experienced without a place to stay was nine degrees. He said he felt “despair” – that it was a lonely place to be. A Willie Ware worker said that she’s expecting 75 people to come into the warming center. The McKinney Men’s Shelter on Huyshope Avenue can sleep 91 people when at capacity. Jose Vega, who’s the program manager of the shelter as an employee of the Community Renewal Team, said that in the winter, the shelter will see that number on a nightly basis. The protocol means warming centers can open, which is a big help when the shelter is overcrowded and Vega has to find beds for clients who need it. Vega said his shelter won’t send people back into the cold – he’d either call up a warming center to see if there’s space there or he’d give the person a chair inside his shelter for the night. When Governor Ned Lamont activated the severe weather protocol earlier this week, he encouraged those in dire need of a place to stay to call 2-1-1 for help. “We need to spread the word to the most vulnerable in our communities that the conditions will become too dangerous to spend extended periods of time outdoors – shelters are available throughout the state,” Lamont said. The protocol remains active until noon on Sunday, February 3. One homeless man’s interaction with a Hartford police officer has become more than just a legendary city tale. Chronic pain sufferers want people to know that the opioid crisis is affecting the way they manage pain.